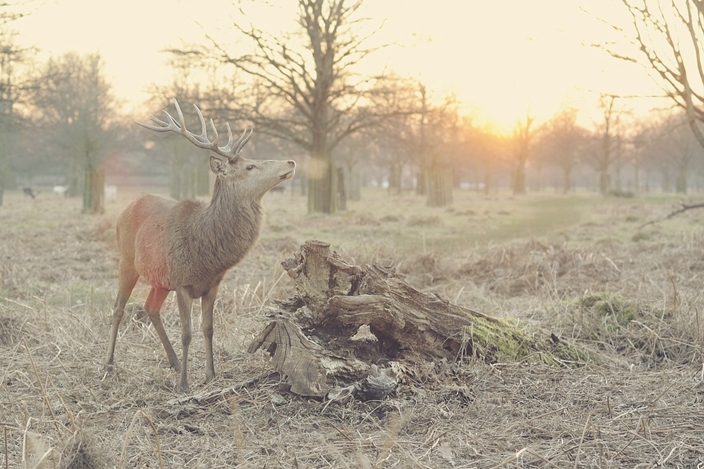 While they might once have relied on Rudolph’s red nose for navigation, they now have a much more hi-tech alternative. “In all sectors of society, this (tech) efficiency is playing a big role. It’s the same in reindeer husbandry,” said Seppo Koivisto, whose hundreds of reindeer roam Lapland’s 4,000 square-kilometre (1,545 square-mile) Palojarvi District. 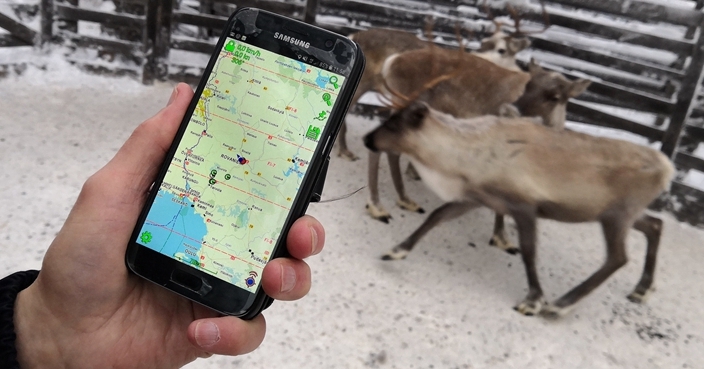 Lapland’s reindeer are the main source of livelihood for about 1,500 herders, so there is high interest in technology that can help manage them. 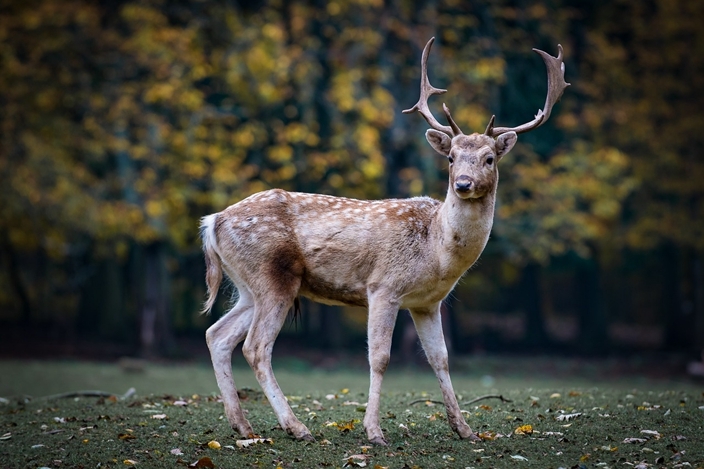 Mr Koivisto is using the latest generation of wireless collars made possible by a group that includes Finland’s Reindeer Herding Association and Helsinki-based communications firm Digita. “We have fewer workers, so their actions should be more and more efficient all the time and this technology lets them do that,” said Mr Koivisto. Since he started using the technology, he has only had to hire half the usual number of workers. 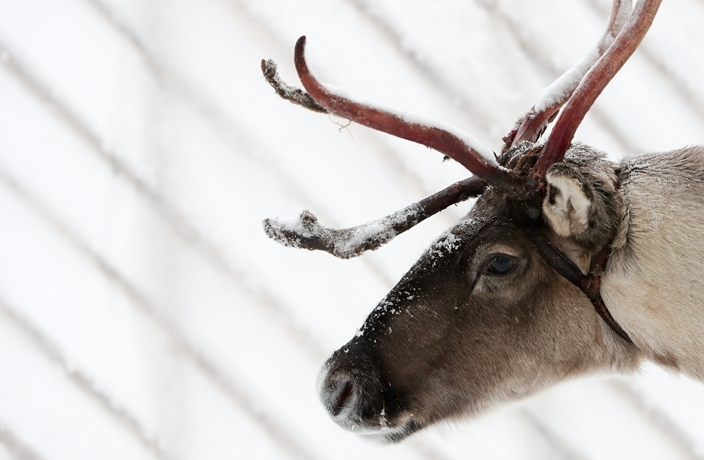 At least 5,000 reindeer are killed every year, according to the herding association. Most that die in Lapland’s forests are never found. Mr Koivisto says he loses about eight percent of his herd annually. To best locate groups of reindeer – which are bred for their meat, milk and fur – the trackers are fitted on the herd’s female leader. Digita built the long-range network, which it says is the world’s most northerly Internet of Things network. The Internet of Things refers to the next generation of devices and everyday objects that are connected to the internet. 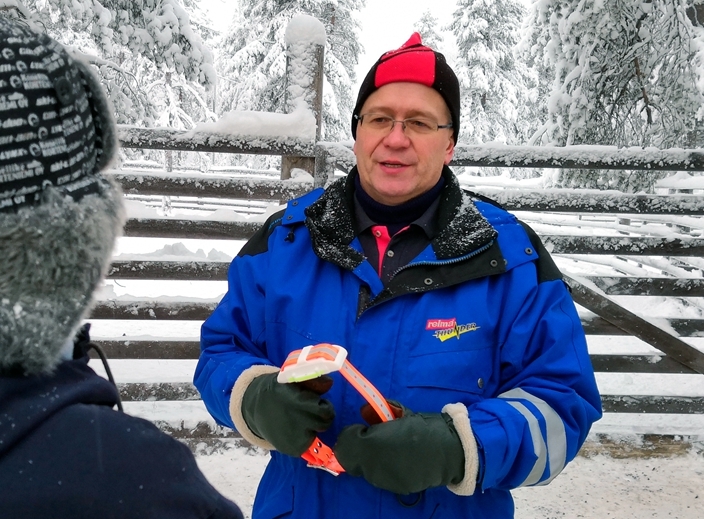 While reindeer herding has roots going back hundreds of years, “at least some of the reindeer owners are really up-to-date when it comes to using technology”, said Ari Kuukka, Digita’s head of Internet of Things services. The third and latest prototype is the size of a deck of cards, stays charged for about a year, and costs about 90 euros (£81).